Indian fig. Prickly pear. Barbary fig. Cactus pear. Whatever you want to call it, opuntia ficus-indica is finding its way into myriad green beauty products, and for good reason: It’s exceptionally high in omegas 6, 9 and vitamin E, meaning your skin gets a dose of delicious with every application. One cactus oil I’ve been experimenting with lately is Heritage & Terre’s Couer de Cactus Oil Replenishing Serum. 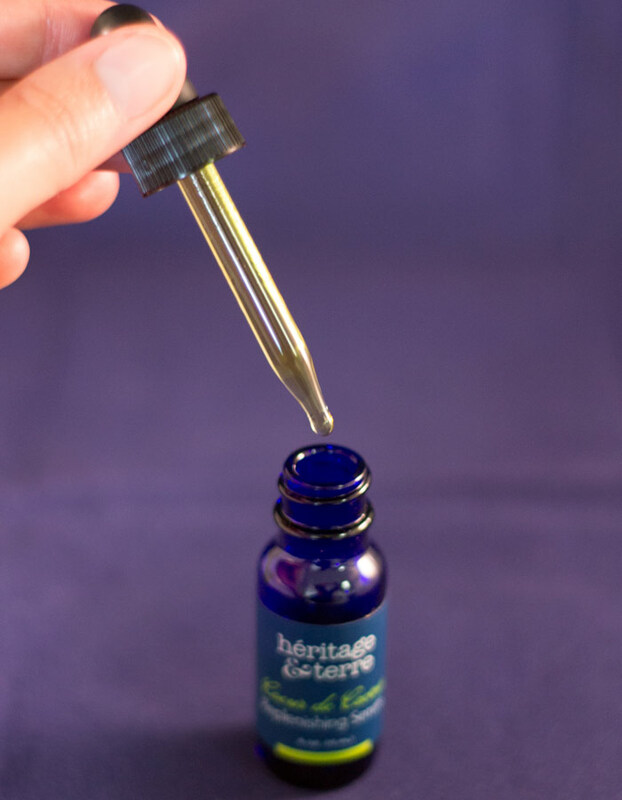 Heritage & Terre’s Couer de Cactus, or “heart of the cactus,” is a simple blend of Moroccan cactus oil, Damask rose essential oil and vitamin E.
Though it’s blended with a bit of rose, the roasted, nutty cactus smell prevails; you will either love or hate the smell of cactus oil. I can’t describe it any better than “extremely nutty,” but it’s not an offensive scent to me. It’s just different compared to most citrus or floral oil blends on the market. It may grow on you if you give it a try! The medium thickness of this beautiful toasted-golden oil makes it wonderful for both evening and daytime use; I prefer to use it at night on drier areas of my face, such as my cheeks. I’ll also admit that I’ve tried this expensive oil as a cleanser to test its effect on removing eye makeup; I’ve made mistakes in the past of trying oil cleansing with oils that burrrrrn my eyes (looking at you, tamanu oil). I’m happy to report that this oil is gentle and non-irritating to my delicate eyes. Speaking of eyes, I’ve also dabbed a bit of Heritage & Terre’s Couer de Cactus Oil Replenishing Serum under my eyes at bedtime to encourage dark circles to stay away; while I can’t say I’ve noticed much major difference, I think we can all agree that plentiful rest and a consistent skincare routine can help ward off dark circles. 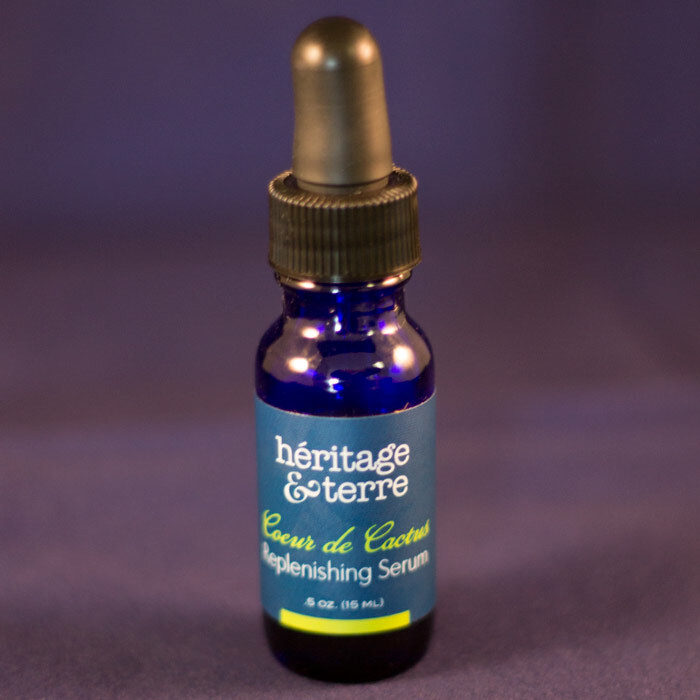 Heritage & Terre Couer de Cactus Oil Replenishing Serum is one of those oils I’d look forward to using every winter. There’s something comforting about applying a toasted-nut oil to your face in the dead of winter that mimics the feeling of warmth. However, if I’m going to splurge on cactus oil, I’d rather have a completely pure, no-other-goodies-added oil that I could use straight or experiment with on my own (this is why I, like most people, adore argan oil!) — Heritage & Terre, can you make that happen? Have you tried cactus oil (straight or blended)? What do you like about it? Have you tried anything from Heritage & Terre? Tell me in the comments!